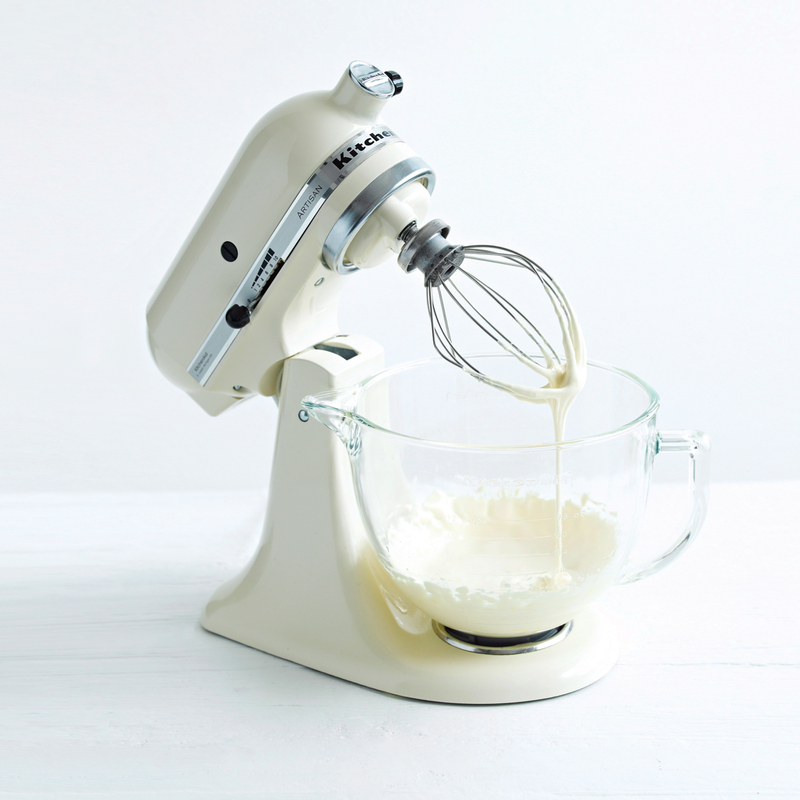 The iconic KitchenAid stand mixer, introduced in 1919, is the single most popular item on bridal registries. Here are some fun facts about the beloved appliance. The first countertop KitchenAid mixers cost nearly $200 (almost $3,000 in today’s dollars) and weighed 65 pounds. However, industrial designer Egmont Arens (who was also the art editor of Vanity Fair) created the streamlined bullet silhouette in 1937. Last year, for the first time since 1962, the company introduced a downsized version. The new 3.5-quart mixer is 20 percent smaller and 25 percent lighter than standard models. It can handle dough for up to five dozen cookies, versus eight to 12 dozen in the larger mixers. The mixer now comes in more than 86 colors. Among the newest finishes are matte Avocado Cream, Black Violet, Ink Blue, and Milkshake. Accessories that have been discontinued include a can opener, knife sharpener, pea sheller, and silver polisher. However, old attachments still work with today’s mixer, should you encounter tarnished flatware. Novel attachments include vegetable slicers, ice cream makers, grain mills, and pasta rollers.